While everyone is following EOC in Portugal, we had our annual relay championship in Park Eshkol, on the edge of the desert. My team managed to finish in a very surprising second place in the open category, and my club (Galilee) took first place overall. I ran the anchor leg. 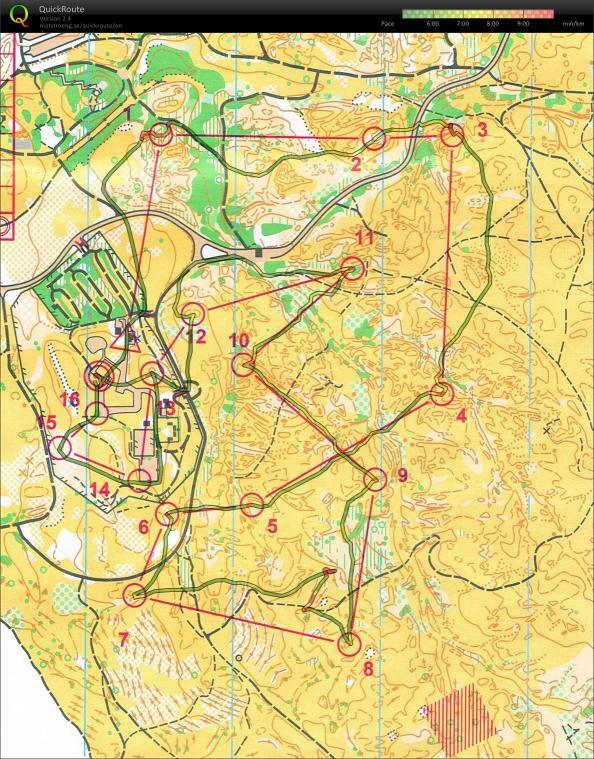 Asaf Avner started for us and came back in 4th place, Ayal Parish-Plass managed to hold on to that and get even closer to second and third, and I started my run a minute behind third and another 90 seconds behind second (Hasharon club were out of sight in the lead). The video below starts just before Ayal passes the spectator control, 3 minutes before the changeover. I caught the third place (Idan Lanes from Izrael Valley club) at control 3, and caught sight of Dennis Padan of ASA Tel-Aviv club just before 6 (he’s in the white shirt). We then both made a mistake at 8, and apparently he made another mistake at 9 (a different control from mine) and I was 100-200m ahead of him for the rest of the race, though I didn’t know it until I passed the spectator control. The overall club championship is decided on a points basis, counting the best three teams from each club over the four categories (open, women, seniors and juniors). Our women’s team finished first again (same as last year, when they were anchored by Roni – now in the 32nd week), our seniors team were fourth but only a minute or so behind the winners, and together with our open result we surprised everyone except myself (I always believe we can win this) and took first place. It was a great achievement, even counting the fact that three national team runners from different clubs are at EOC and could have made a difference. The map is as far as can be (south) from our club area (north), and despite this all our best orienteers showed up and gave it a go.